Did you know sage is the oil of purification? Sage is known for its ability to cleanse energy, and spaces. It also purifies the body, and opens spiritual channels. Sage is a powerful energy cleansing oil. It can send away unwanted or hard to endure energies, and restore harmony, and balance. It plays a role in helping people who have experienced any form of abuse, also feeling a disconnect from their physical body. Sage (Salvia officinalis) has a herbaceous spicy aroma. The Ancient Greeks and Romans used the leaves of both species as compresses for the treatment of wounds. The oldest reference is a depiction of Salvia fruticosa on a fresco at in Crete, which has been dated at about 1400 BC. The name salvia in fact comes from the latin, salvere, meaning to heal. It has been identified for its ability to strengthen the senses, and vital centers of the body. Sage was used by herbalists externally to treat sprains, swelling, ulcers, and bleeding. 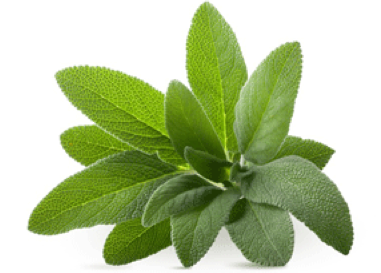 Internally, a tea made from sage leaves has had a long history of use to treat sore throats and coughs; often by gargling. It was also used by herbalists for rheumatism, excessive menstrual bleeding, and to dry up a mother’s milk when nursing was stopped. It is helpful for supporting the respiratory, reproductive, and nervous systems. Sage may help in coping with despair and mental fatigue.